Be prepared for a 40-60 min wait or even longer. It would have been wonderful to try out all their dishes to find a few personal favorites. In our sampling, the mole sauce turned out to be stunning. 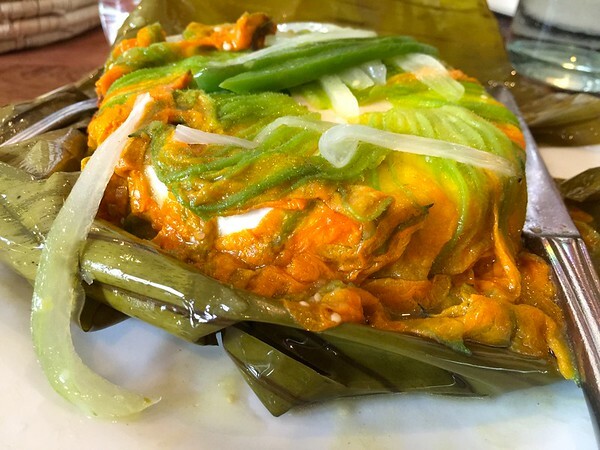 Fresh Oxacan cheese sauteed in butter, wrapped in zucchini blossoms, onions and strips of green chili and baked in banana leaves. Served with tacos. The fresh cheese is lightly salted, crumbly and not unlike taste of Indian paneer. Zucchini blossoms do not have a strong taste but they add prettiness to the dish. Served with an excellent green salsa and fresh made corn tortilla. Overall, a refreshing start of the meal. We had sufficient leftover that we brought back and had for breakfast the next day. 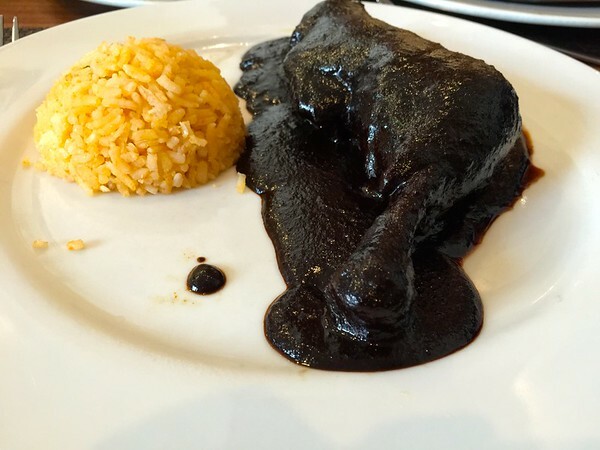 A stunning mole sauce with chicken leg. Mole had several varieties of chili, chocolate, spices, and peanuts. Chicken was cooked separately and mole was ladled on top. 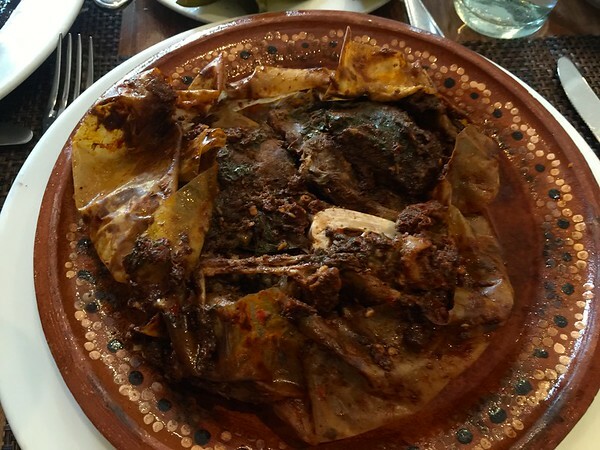 Fall off the bone beef shank cooked in traditional spices. This was tasty but not unusual like the mole. Perhaps my own familiarity with south Asian spices made this particular dish less unusual. Again there was sufficient leftover that we brought back and had as part of breakfast tacos!